These vests are designed to be an accessory to complement the range of HiVis and Personal Pertection Equipment offered, to enhance visibility and offering additional protection to the wearer. 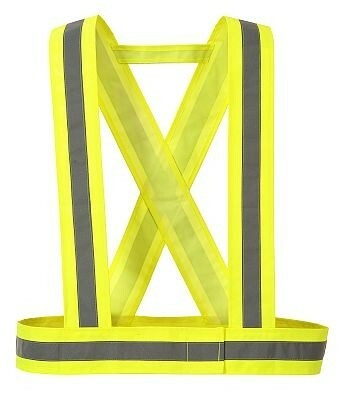 These Hi-Vis Strap vests include reflective tape, an adjustable loop for fastening, and a durable polyester PVC coated fabric. Equipment offered, to enhance visibility and offering additional protection to the wearer. These alone are certified and tested to the ANSI/ISEA 107 standard.